Autumn is the season of some of the most exciting international art fairs, auctions, and exhibitions. The crush of record-setting sales at the end of the year—and the ever-growing mania around Art Basel Miami Beach—means many valuable artworks are on the move at the moment. And because most art damage and losses occur when an item is moved, millions and millions of dollars are on the line for investors, collectors, and curators. For this reason, fine art transportation is both an art and a science. Successfully transporting fragile paintings, unwieldy sculptures, complex installations, or unique materials across countries and through customs takes significant and specialized expertise. In fact, every fine art transport is as unique as the artwork itself. How do you determine how large a crew and the type of equipment you will need to get a piece safely up a flight of stairs? Did you know that bubble wrap can pockmark an old painting or trap moisture that leads to mold? That many crates and packing materials have been custom-made for individual works and should never be discarded upon delivery? Or that some types of damage will only be apparent to an experienced conservator? Perhaps the piece you need to transport isn’t worth millions, but if it matters to you, the way it is moved will matter, too. We can help! Fine art transport is not a DIY project, but we can share some tips to help you transport your precious pieces safely and successfully. Some household movers lack the tools and training for fine art transport and hiring an untrained crew is asking for trouble. Professional art handlers have the knowledge and resources required to move delicate and valuable works safely and securely. Bonded drivers on direct routes in climate-controlled trucks with GPS. Handcrafted, climate-controlled storage crates carefully customized for each piece. Paperwork prepared to speed a collection through customs. Only a specialist understands the level of preparation and professionalism required to protect fine art, and their advice will help you protect the value of your investment. Whenever possible, allow your fine art transportation team to participate in setting the moving schedule—and listen to their recommendations. The pressure to make an unreasonable deadline can interfere with good decision-making. When crews are rushed, accidents can happen. 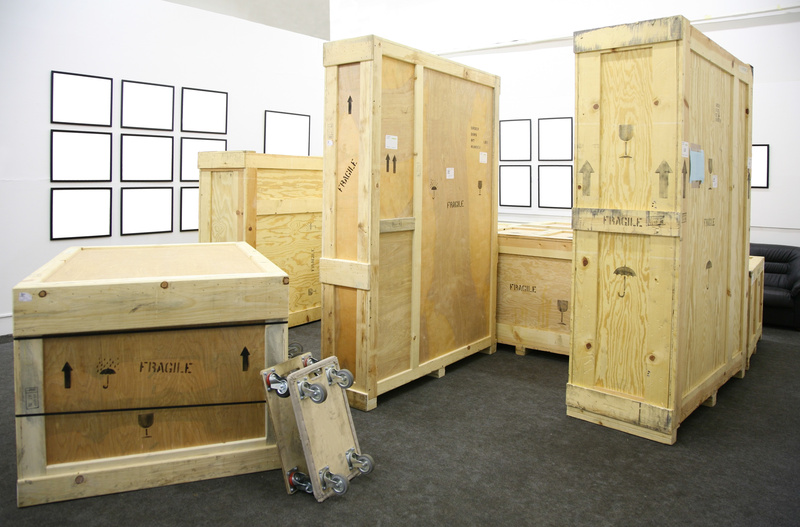 While any professional art handlers will prioritize providing timely service, true professionals know that it takes time to carefully pack, move, unpack, and install a significant piece of art and aren’t afraid to ask for the time they will need. No matter who you hire for fine art transport, you will want to have your pieces inspected and fully insured before they are moved. For unusual or high-value pieces Mind’s Eye often recommends that the inspection to be performed by an experienced conservator or art historian. Some types of damage may not be obvious to a layperson and an inspector familiar with the materials and techniques used by the artist can often pinpoint potential trouble spots or recommend particular ways of wrapping, storing, and moving items. Make sure your inspection is documented, your art has been well photographed, and that the piece is insured to its fullest value before making any moves. And when your piece arrives, insist upon an equally comprehensive condition report before you take delivery. Ready to make your move? Call 800-428-9800 or contact us to discuss your fine art transport needs with one of our specialists.